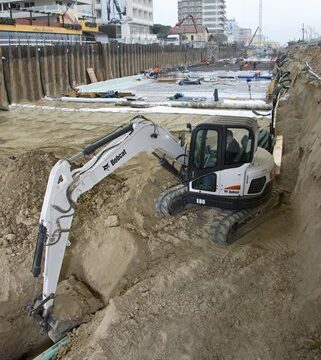 The Bobcat E80 is a reduced tail swing design compact excavator with an operating weight around 8.5 tonne which is the largest compact excavator in the Bobcat® lineup. This model is equipped with an engine package for the non-European countries that does not require the Stage 3B engine emission regulation. 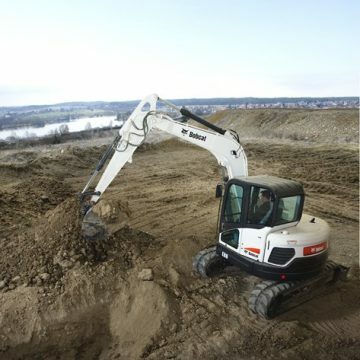 This model features a spacious cab for all the comfort needed and with powerful hydraulics for all the demanding applications. To accommodate the customer requirements this model offers the optional steel tracks, long arm and the third auxiliary hydraulic lines. 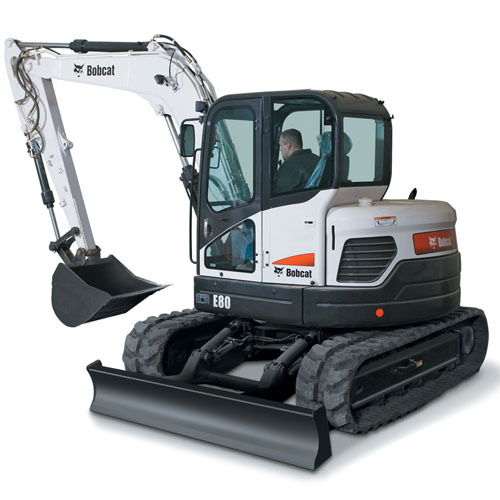 The Bobcat E80 is powered by the reliable 40.7 kW Yanmar engine to deliver the performance when needed. 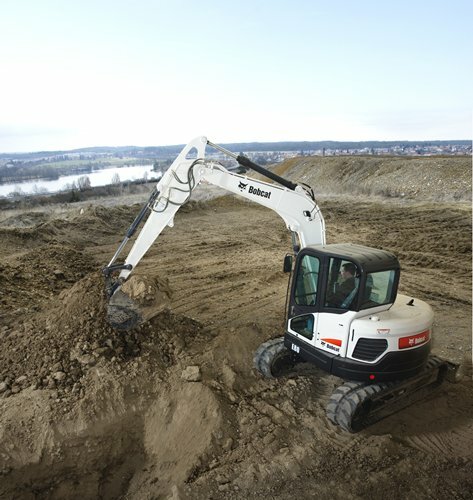 Together with the auto-idle feature the Bobcat E80 has improved its fuel efficiency while maintaining productivity. 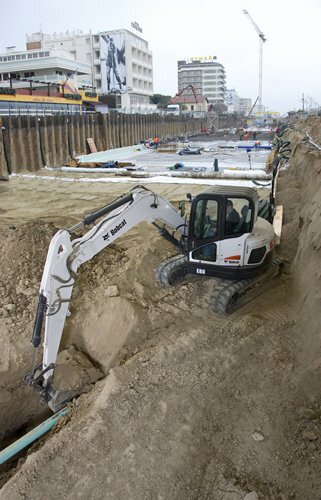 The Bobcat E80 is a reduce tail swing design compact excavator with an operating weight around 8.5 tonne. 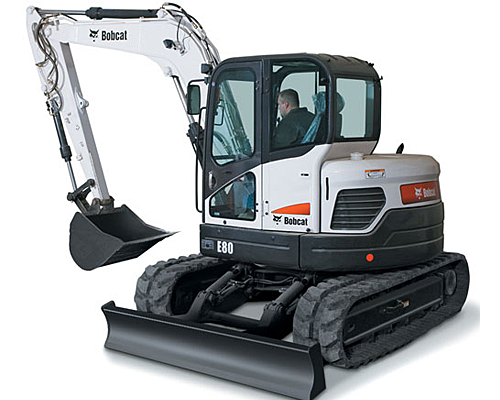 Even though it’s compact design, the Bobcat E80 offers a spacious cab enhancing the operator comfort, meanwhile maintaining great stability. 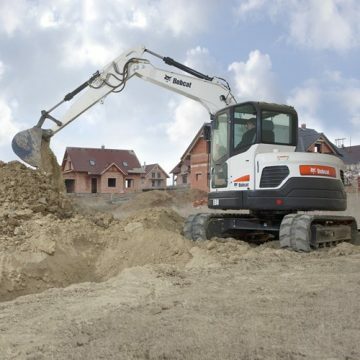 The closed center hydraulic system offers a great balance between speed and smooth operations together with great digging forces, resulting in accurate controllability and high productivity. The standard boom and arm load holding (safety) valves will prevent the workgroup from dropping down in the event of a hose rupture on one of the cylinders. An overload warning device is included in order to warn the operator of any unstable situation. The large right-hand side cover allows easy access of the daily service and maintenance points. 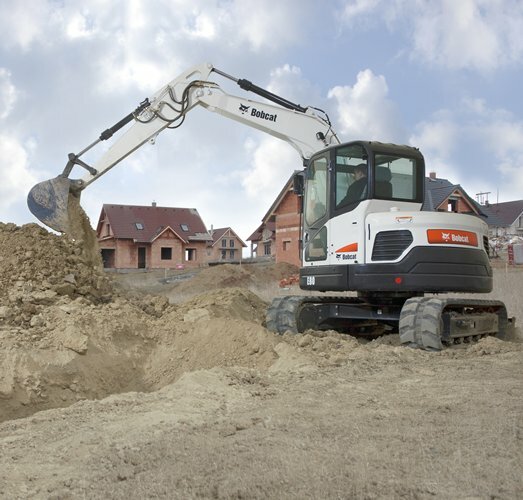 The cab can be tilted forward within a few minutes without special tools to gain access to the main valve when service is required.